Alderney Performing Arts Festival 2015. Image: Andy Theobald. 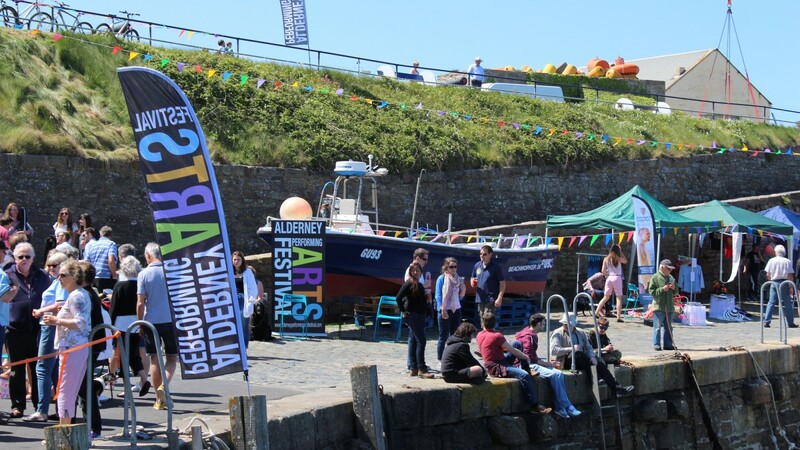 The Alderney Performing Arts Festival began in 2013 to bring a weekend of Arts and Culture to the remote island of Alderney, to celebrate its uniqueness and to attract new visitors. At a low time for the economy the Festival brought a welcomed boost of optimism and activity to the island. The 2016 festival will take place on a long bank holiday weekend at the start of the summer season, 27-30 May. Occupying a strategic location in the channel, Alderney has been heavily fortified throughout its history which has left a legacy of 13 Forts and Castles on an island three miles by one and a half. These historic buildings are a quintessential part of the character of the island within which performances are held. Our support is for a specific project led by jazz pianist Jason Rebello who will mentor three emerging jazz musicians to present work as a quartet during the festival and hold workshops for musicians on Alderney.